Corpell’s will test your water and tell you what kind of in-line filtration system will best suit your needs free of charge! 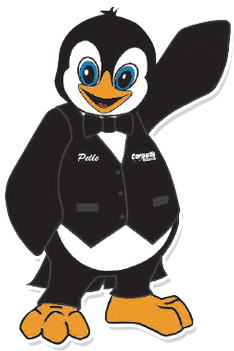 Corpell’s offers the very best in purified bottled water. However, if you’re looking for a bottled water alternative have a look at our full service in-line filtration systems for your home and office. Offers better tasting water through chlorine taste and odor reduction. 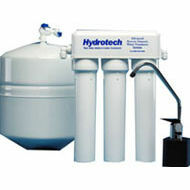 This is an excellent basic water filtration system for those seeking better tasting water. Corpell’s advanced reverse osmosis drinking water systems are a natural and economical solution for providing your home or office with high quality drinking water. With a space-saving ultra slim profile, the system tucks neatly under your kitchen sink providing near bottled water quality without the bottle. All in-line filtration systems are installed and maintained by a Corpell’s Certified Technician. Our technician will complete an initial on site analysis to determine custom installation options and suggested filtration specifications that fit your needs. The Full Service agreement will include regularly scheduled maintenance including system cleaning and filter changes ensuring you always have great tasting water flowing.